Old guys and nostalgia freaks like me love blogs like The Radical History of Hackney. 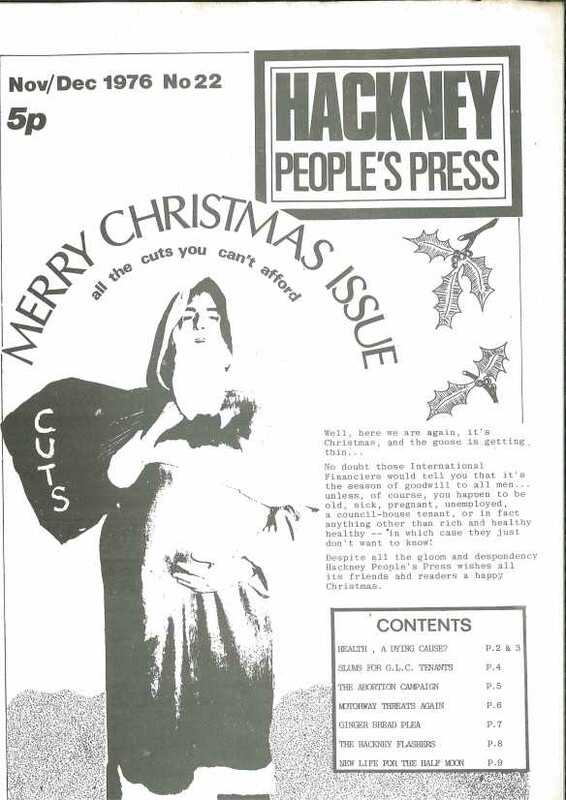 A year or two ago, I donated an almost complete run of issues of Hackney People’s Press to John, the blog’s compiler, in the sure knowledge that he would give them a good home and find them useful for reference. John has obviously been working through them, and has just posted a summary of the issues we produced in 1976. The first issue of HPP for the year didn’t get published until May, when I got together with one or two people in a hopeful attempt to get it back and running again after an absence of several months. I’m glad to say that a few people came forward, and throughout that long hot summer we managed a few more editions, culminating in a November/December Christmas special. One of the new people involved was called Tony, and it is him that is posing in the Father Christmas outfit on the cover shown here. 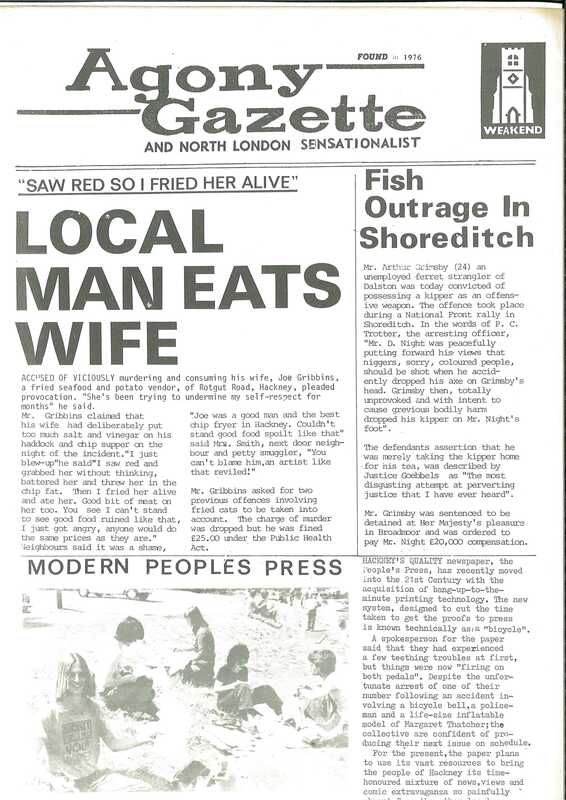 One page in the Christmas issue was a spoof Hackney Gazette, which we subjected to biting satire based on its normal diet of gruesome court cases. At the bottom of this page is a happy picture of HPP workers sitting on the ground at that summer’s Hackney Marsh Fun Festival folding copies ready for sale. Tony is the guy at the front, holding up a copy for the camera. Behind him facing right is a considerably thinner and hairier figure: me at the age of 26. Forty-one years ago, eh? A lot has changed since then, but I’m still here, and at this festive season I wish you a very happy Christmas. Have a great Christmas Charles ..